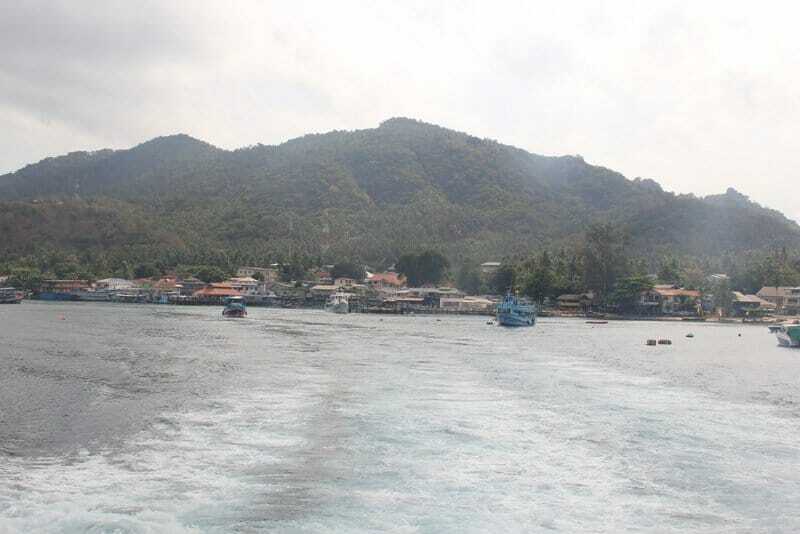 I left Koh Tao on the 9.45 Catamaran to Koh Samui with a brief stop , to disgorge hundreds of folk, at Koh Phangan. Last night was the full moon festival so i was treated to loud bangs from some humungous bangers in the street below. Fascinating how the kids like this island, a bit like bees around a honey pot & yet I can travel hundreds of miles without seeing any Westerners. I’m fascinated by what makes a place popular and others not.. It started raining at the first stop which was unfortunate as I was sat with my bike on the back deck reading my latest John Grisham download The Racketeer (excellent btw). Interestingly I find it as easy to read on the iPhone5 s as on my Kindle paper white and a hell of a lot easier to hold! With my 10Ah battery I can have the screen & GPS on all day long 🙂 although the Lightening connector is once again on its last legs, this time through corrosion on the ‘gold’ contacts. On arrival at Koh Samui I didn’t take to the place, it has no real island feel, just seems like the mainland , there was no hope of finding Howard from the Grasshoppers tour so, after the major cloudburst finished, I just cycled around the coast to Nathon where I could get the ferry back to the mainland at Donsak, a hell of a lot cheaper than the Lomprayah Cats as well! just 200 Baht for me & the bike! 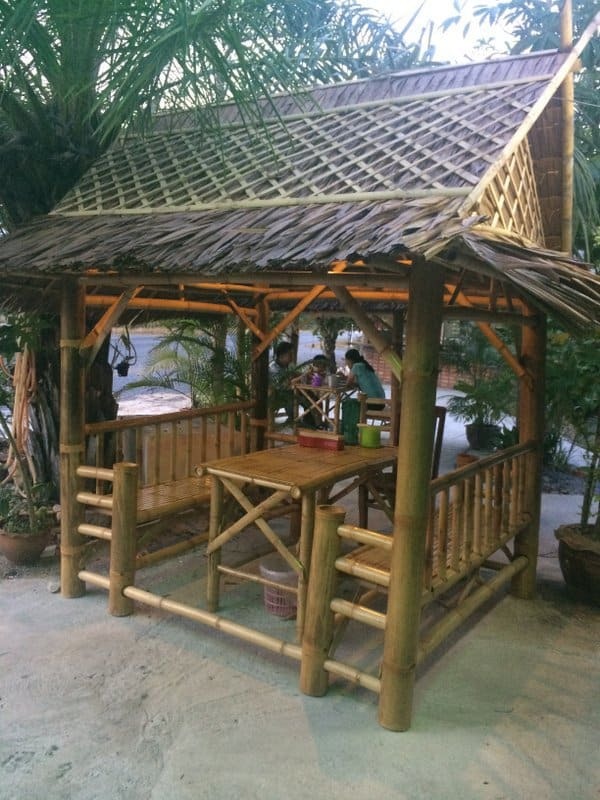 I stopped at the first motel place of the ferry, Donsak Resort and a snip at 500 Baht per night. 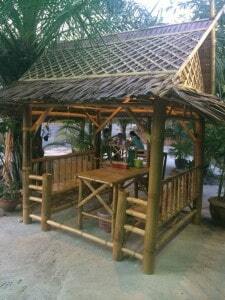 The elderly lady cooked me some egg fried rice in her roadside diner with its smart outdoor bamboo shelters with table & seats. The bike went on the very full Cat OK although taking it almost doubles the price from 600 to 1100 baht! 100minutes later we made a brief stop at Ko Hang Tao to drop of a whole group of folks and there fresh fruit & veg supplies. 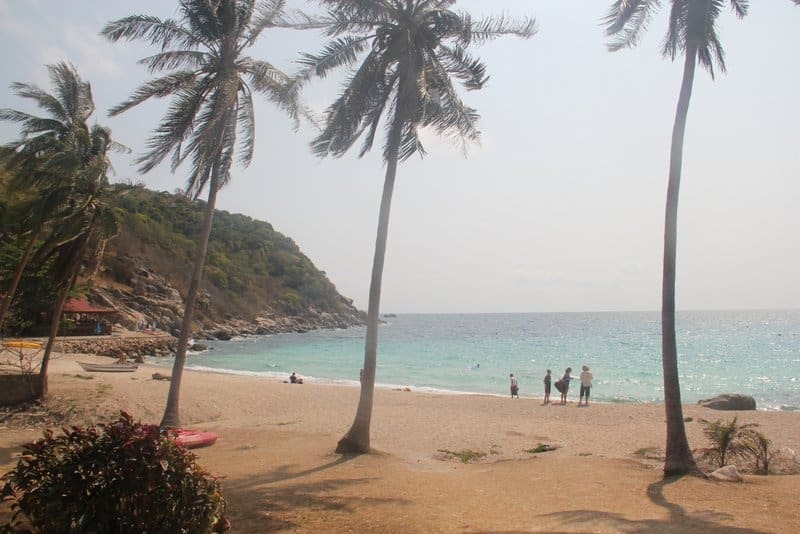 A quick 12 minute spin across the bay and we were at Koh Tao (Turtle Island). Once I disembarked I bumped into a Brazilian guy who is biking from Hong Kong to Singapore, he recommended avoiding Phuket & going via Krabi down the West coast to Singapore. So many choices, . I ended up, after a fruitless hour searching for the Jom Thong Guesthouse, including falling off the bike in the fine sand 🙁 In the end I decided on the Cafe del Sol Guesthouse in the village centre run by one the many French people on the island. Nice room but the usual dodgy internet connection.